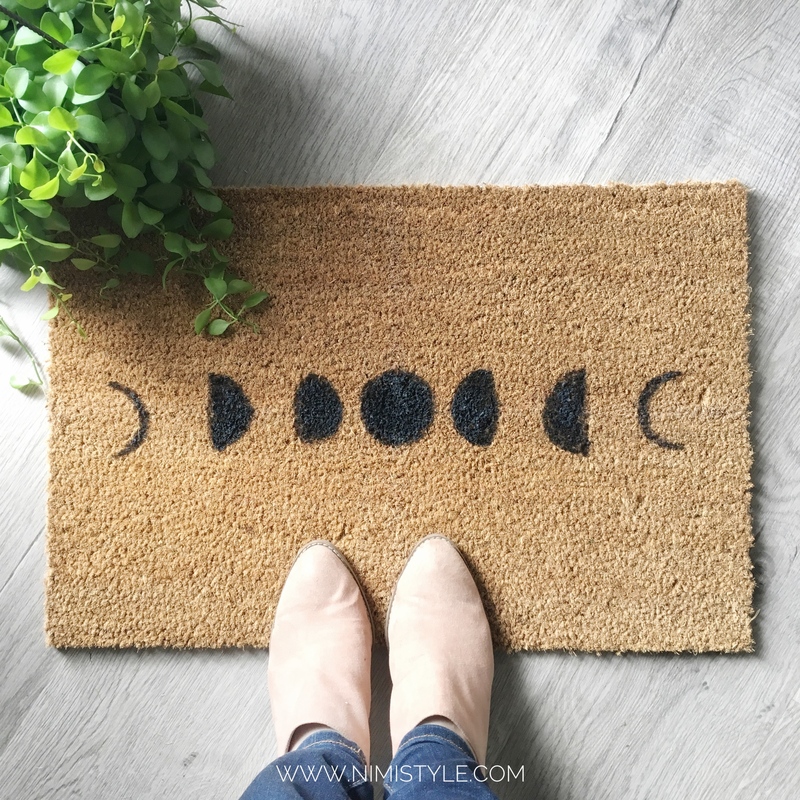 I saw this lunar phase doormat which would have been perfect for Ramadan but it was only half the phases. 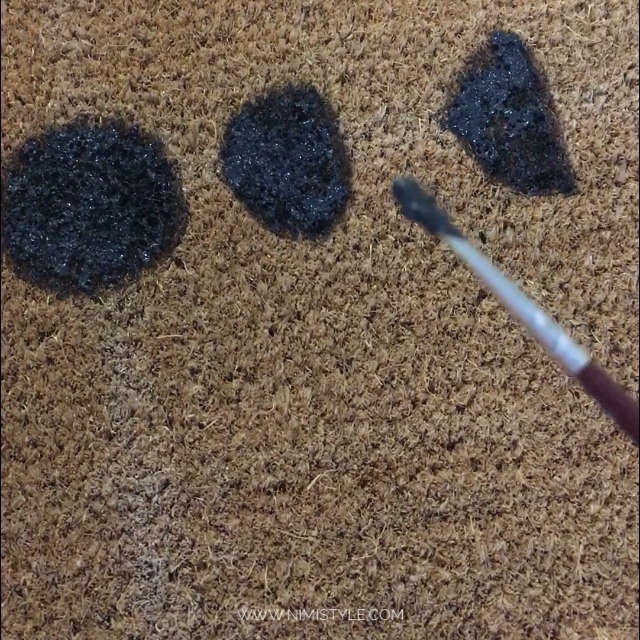 I decided on DIYing my own to show the full span of a month and am so happy with the way it turned out. I can’t wait to put this out on the first of Ramadan! 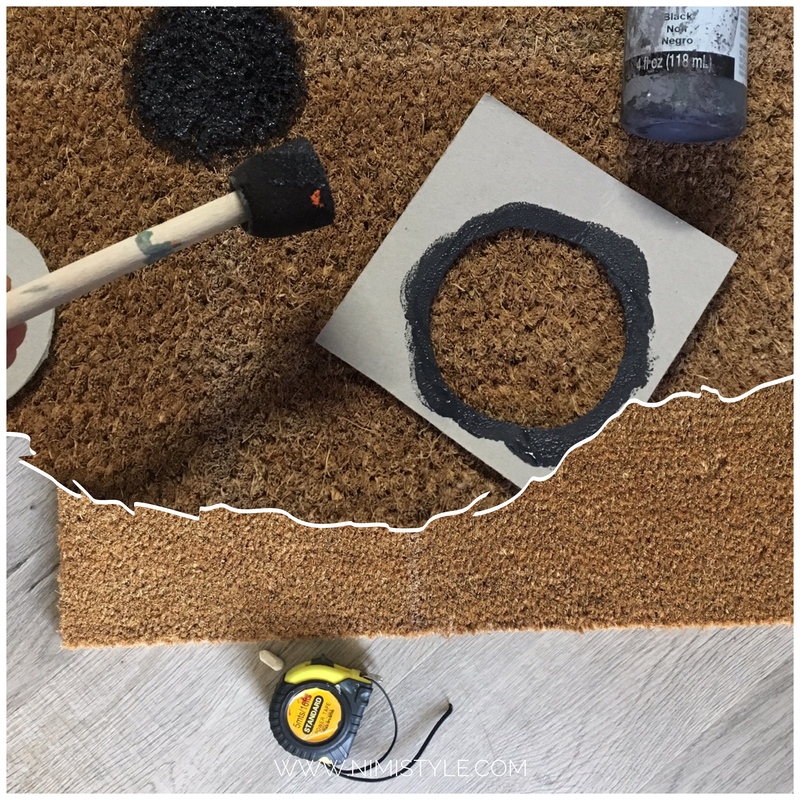 (1) Use your measuring tape and chalk to find the centerpoint of your doormat and mark it horizontally and vertically. 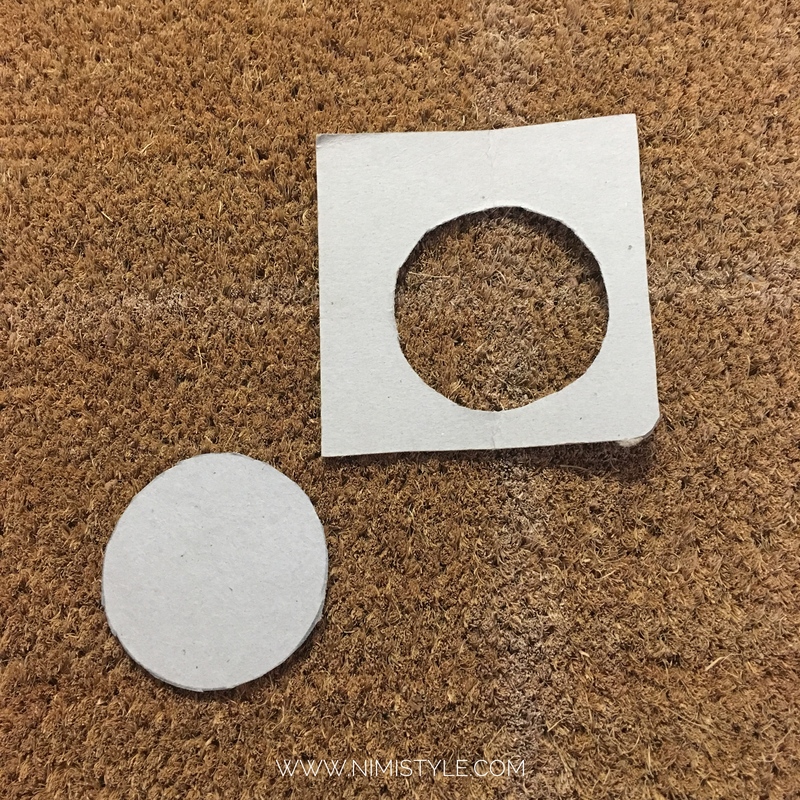 (2) I used a piece of cardboard to create my template by cutting a circle out. 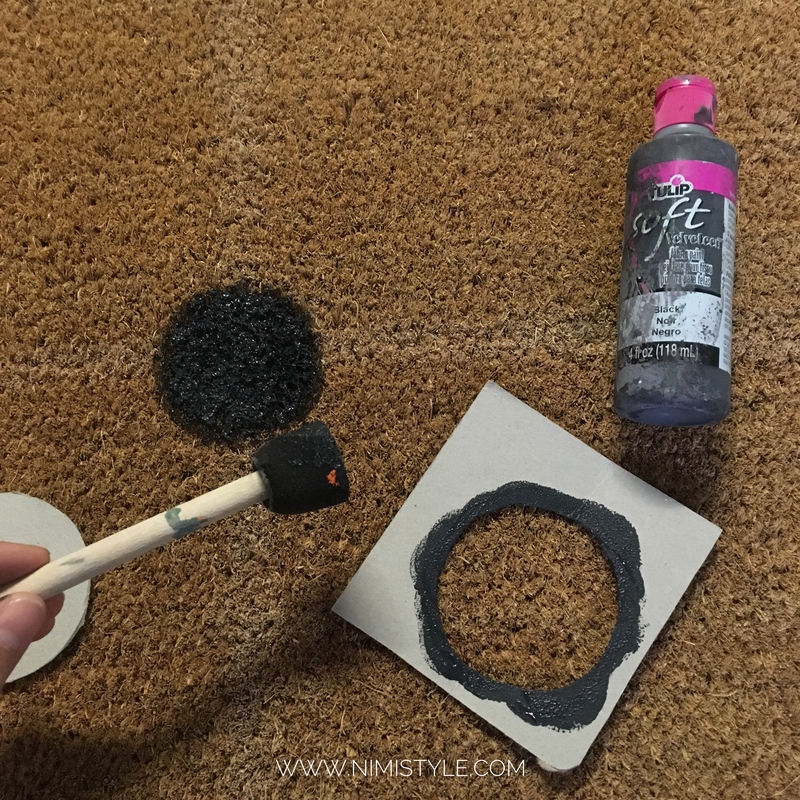 (3) I used the round sponge paint brush and the template to paint the full moon in the center where the horizontal and vertical line meet. (4) I painted the rest of the lunar phases using the template painting less and less surface area as the phases got smaller. I also used a finer paint brush to do any touchups. 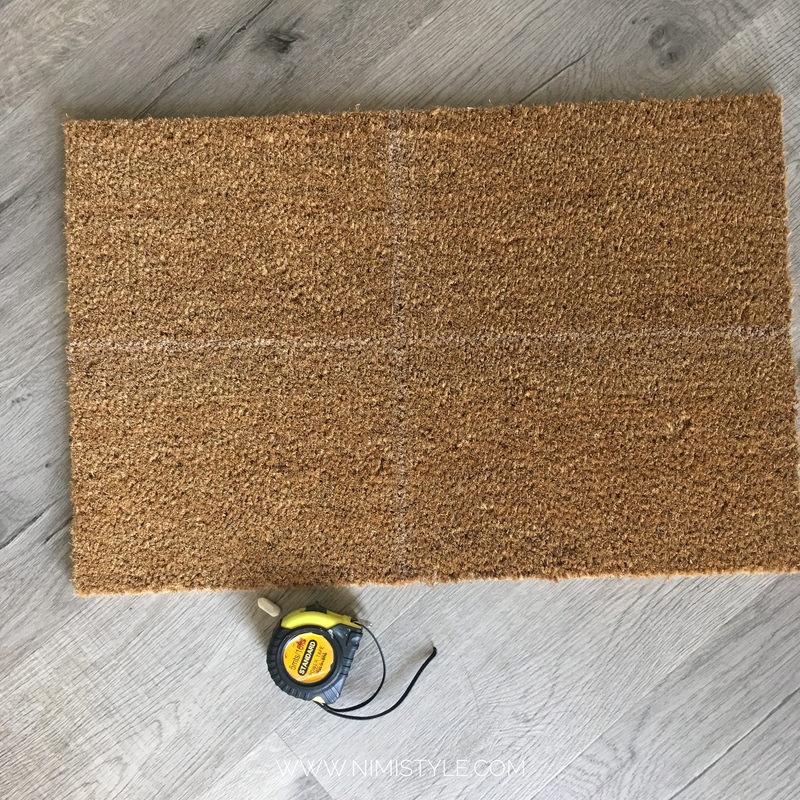 This was such an easy DIY and I’m really looking forward to putting it out. 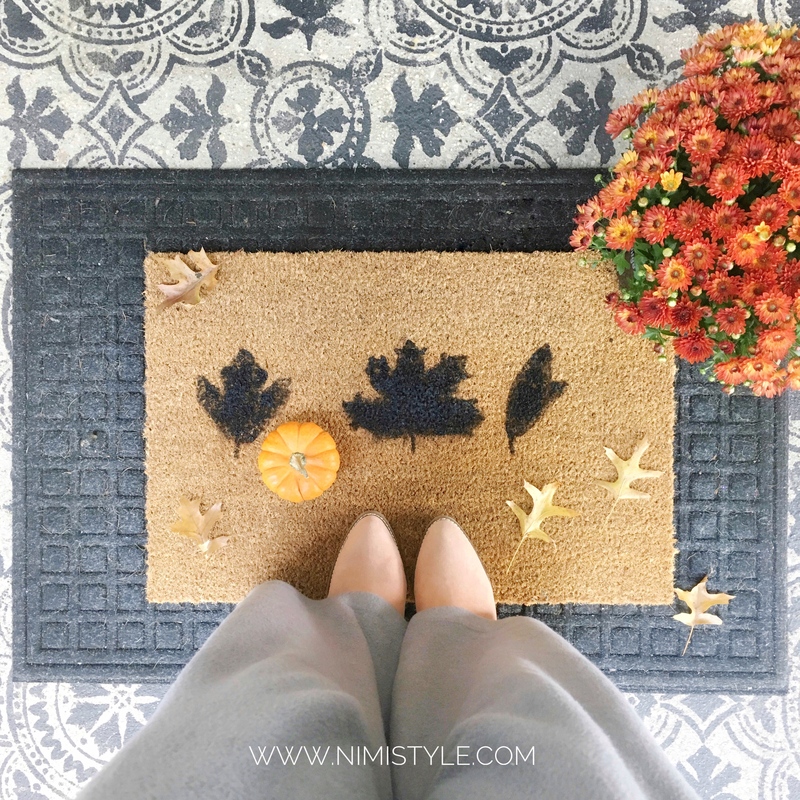 The first time I made a doormat was this one for Fall and even though that one didn’t work as planned I learned a lot from it which made this one super easy to do! 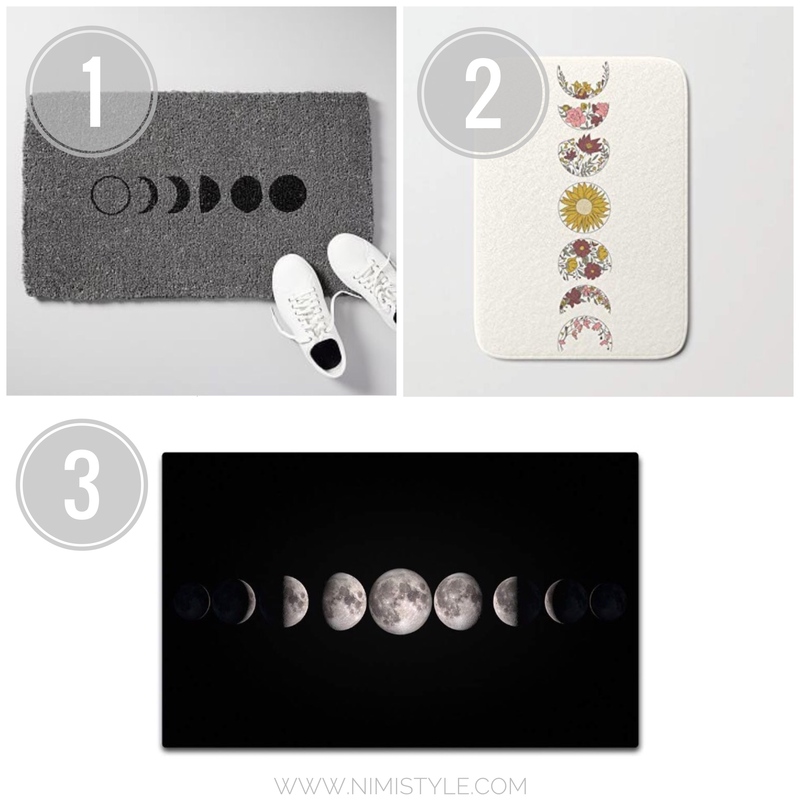 If you’re limited on time or just not into DIYing I found 3 doormats that would be equally moontastic! If you make your own doormat I would love for you to share it with me!